The mechanism of speech is a very complex one and in order to undertake any analysis of language it is important to understand the processes that go to make up the message that a speaker transmits and a listener receives. 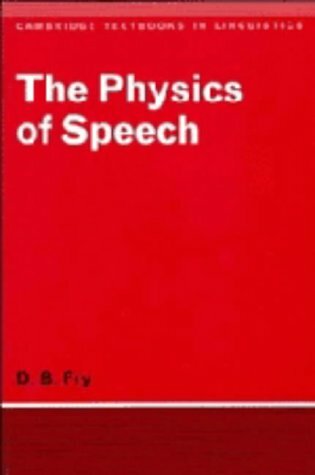 Professor Fry therefore first takes the reader through the various stages of the speech chain: from language units to nerve impulses to muscle movements to sound waves, and vice versa as the message is received and decoded. He then explains the basic physical principles involved in the generation and propagation of sound energy and in the phenomenon of resonance. These principles are then applied to the speech mechanism itself and to the particular kinds of sound which constitute speech. There is a fully illustrated account of the use of the sound spectrograph in acoustic analysis and chapters dealing with the acoustic features of English sounds and with the way we recognise speech sounds by the acoustic cues inherent in a particular language. 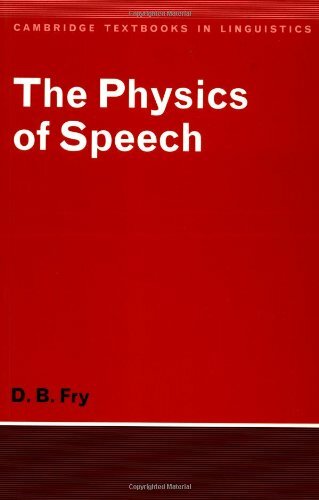 Professor Fry gave courses on the physics of speech to students of applied as well as theoretical linguistics and to speech therapists, and his clear account will therefore provide a basic textbook for such courses as well as being of interest to people working in departments of speech and in communications generally. The mechanism of speech is a very complex one and in order to undertake any analysis of language it is important to understand the processes that go to make up the message that a speaker transmits and a listener receives. Professor Fry therefore first takes the reader through the various stages of the speech chain: from language units to nerve impulses to muscle movements to sound waves, and vice versa as the message is received and decoded. List of phonetic symbols; 1. The speech chain; 2. The generation of sound; 3. The propagation of sound waves; 4. Absorption and reflection of sound energy; 5. Free and forced vibrations: resonance; 6. The speech mechanism as sound generator; 7. The vocal tract; 8. Periodic and aperiodic sounds; 9. Acoustic analysis: the sound spectrograph; 10. Acoustic features of English sounds; 11. Acoustic cues for the recognition of speech sounds; Index.